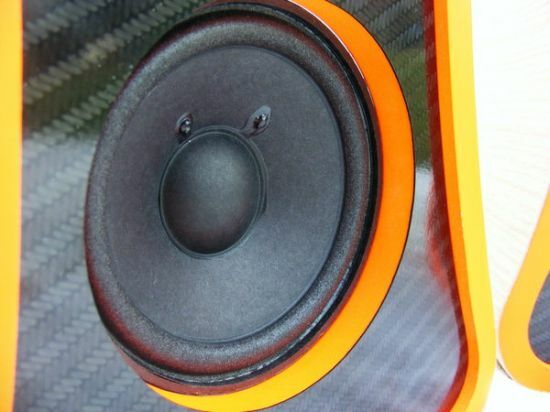 If you think that boxes with parallel sides are always best for acoustics then new carbon fiber and wood speakers by designer Hallam Collings is sure to change your perception about the design of speakers. 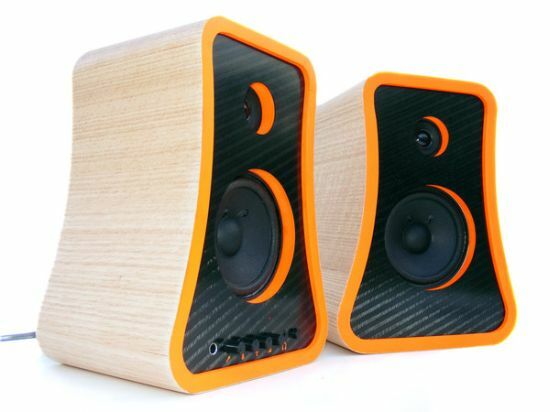 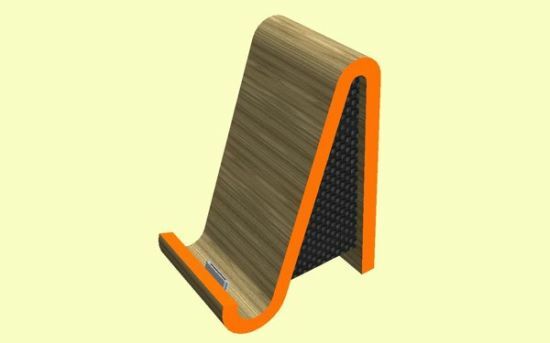 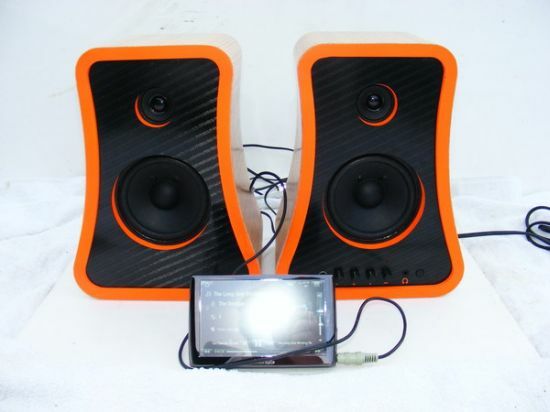 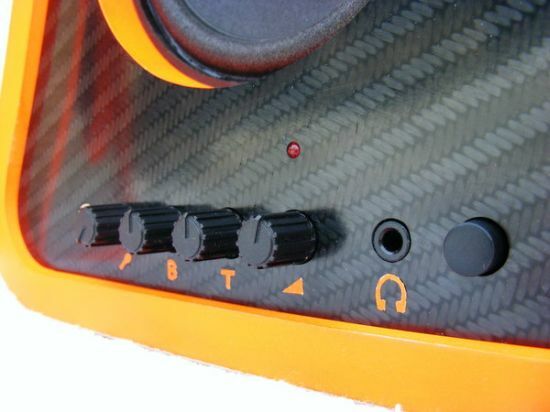 Essentially a pair of computer speakers, the “carbon fiber and wood speakers” offers a curvaceous design to go well with the modern interiors and not to talk about the acoustics. 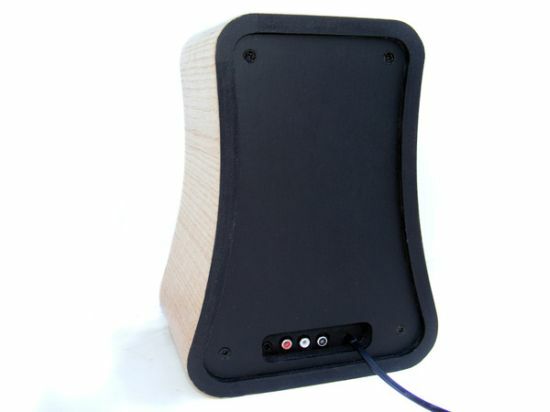 Designed for GCSE coursework, the elegant speakers by the British designer features the MDF laminated body with oak veneer, while the front is finished with carbon fiber to ensure solid acoustics. 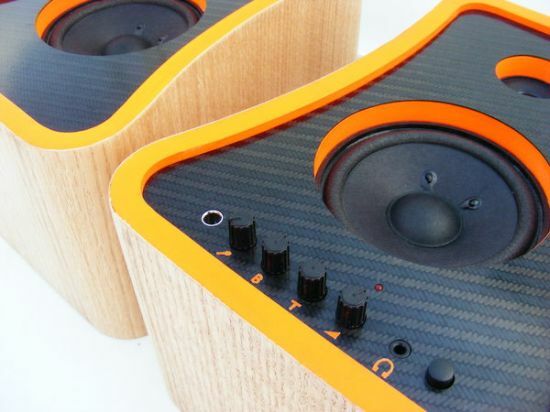 To enhance the utility of speakers, Hallam has also designed a matching iPod dock that connects with fully functional speakers, possibly via Bluetooth or a cable, to enjoy surround sound.